Bhavana Printshop solution is the one of the biggest brochure design service provider in Thrissur. We give an extensive variety of brochure design service. Our creative brochure design team understand your product brand and marketing strategies and design a brochure that conveys the actual message to your customers. A brochure is a compact medium of marketing. We maintain 100% uniqueness with high-quality designs for our customers in our brochure design. We have a team of imaginative experts create a brochure using the latest tools and techniques so our designers are well aware of this technique that make our brochure design is exhibiting more originality and creativity. Our brochures are available in both online and offline modes. Apart from brochure design, we also design catalogues, advertising material, Sales collaterals, and newsletters. We have a professional team of brochure design to cater all your needs whether it is a mailer design, Logo Design, Vector Brochures, Flash Animated Flip Brochures, Corporate Brochure Design, Business Brochure Design, Flash Animated Brochure Design, a flyer design, tri-fold brochure, pamphlets, sales brochure, marketing brochure, training manual, booklet, pocket folder or a catalog design service. And we are able to do it within your time frame with reasonable cost. Bhavana Printshop solution is expert brochure design service providers in Thrissur. Our talented designer team provides a simple and elegant brochure, leaflets, flyers and other print media for your Organisation. A brochure is a tool to make popularity of new product and services.The graphical impression for the company services will be the quickly impressed in peoples mind and create solid impact as well as improve the visibility of your business in the market. We offer 100% fresh and eye-catching designs at a reasonable cost. We include the attention-grabbing cover, healthy blend of images and text using appropriate colours and fonts, extra offerings or sale, folds to encourage reading as well as images that make the information more appealing to the readers. We maintain the perfect balance between graphics and text to convey the message effectively. We project your brand image through the design. We work with the latest techniques, thus, get you modern designs. Aside from the brochure design we offer attractive flyers development services that ensure the successful marketing of your offers, sales, and services in a cost-effective manner. Our talented flyer designers help you to promote your product and announce discount events that spread rapidly that you want. We spend significant time for making outstanding and eye-catching best flyer design for corporates, Jewellers, real estate, filmmakers, clubs, Tourism and many more. We Meant to be used as letterbox drops, handouts, leaflets, counter displays or magazine inserts, Our flyers are available in various paper finishes, such as glossy, uncoated, etc. We provide professional brochure design services and deliver it on time. We guard your privacy in the best possible way. You can be sure that your information is safe with us. 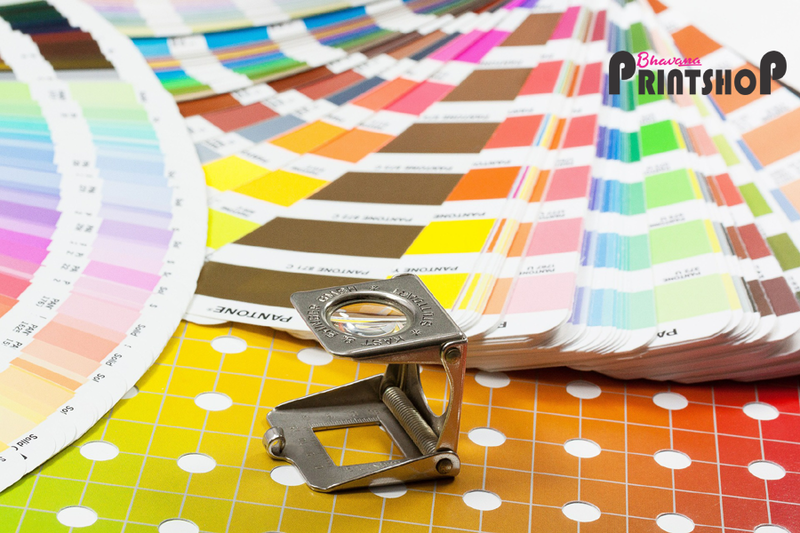 Bhavana Printshop is one of the top brochure printing firms in Thrissur. Our aims to provide innovatively and the best brochure design and printing that will add extra value to your business. Create brochure designs we treat clients with huge importance and understand the fundamental needs of delivering remarkable brochure design services that are customized according to your will. We deliver initial design concepts in guaranteed most minimal time. We Fulfill all your design needs under one rooftop. We Create original design pieces, all the time. We have More than 2 designers on every project’s team. Our price strategy nominally to fit in each and every pocket. Brochure designs are one of the most effective marketing tools that play a crucial role in business communication and other marketing activities. It allows you to present more detailed information about your organization. We have a team of expert designers that come up with an innovative design process to facilitate and deliver the best brochures and other promotional items to our valued clients. Apart from brochure design and printing, we provide logo design service a logo is perhaps one of the most important aspects of brand building rates Users identify your organization by the logo. Logos are essential for developing a brand value. Bhavana Printshop has experience in logo designing. Business logo design is not a simple process. We know the importance of conducting a study about the nature of your product. The logo needs to be simple, stylish, and effective. It is not just a fête of colours and patterns. Logos have to have something to convey. The first letter of the brand name can be used to create logos. We can create innovative first letter logos for your company. we create unique, identifiable and effective logos for your brands. It acts as a representative of the company to which it belongs, its fundamental values, and what it stands for. Unlimited revisions to ensure 100% client satisfaction. 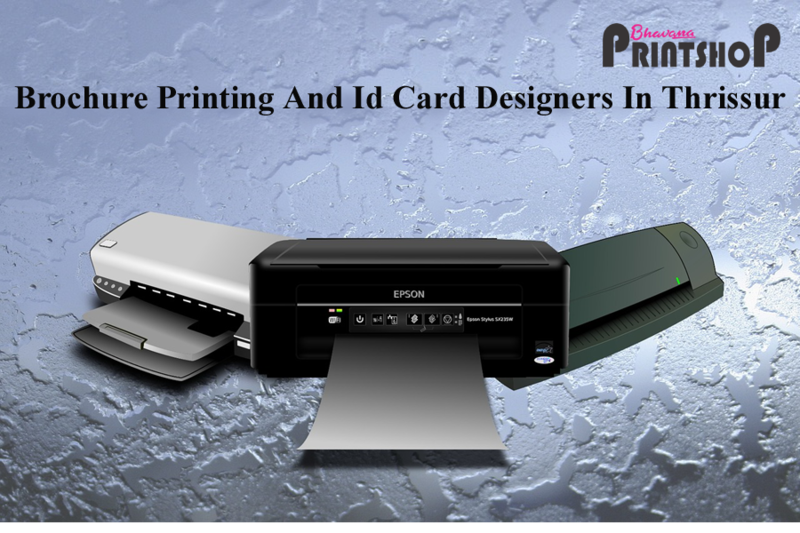 Bhavana Printshop Solution can provide stunning Brochure designs and Id Card Printing Services for your company. Importance of graphic design ads is increasing day by day. Graphic images and advertisements can easily attract the customers towards your company. That’s exactly where our firm comes to save you. Our mission to draw the attention of customers towards your advertisements and graphical creations. Our firm never experiences a shortage of ideas. Though, your suggestions will be treated with absolute respect and contemplation. Every website owner will have a concept about their logo and brochure, whether it is clear or Ambiguous. We will treat your opinions with proper importance. We can also suggest new technologies and ideas. There might be many graphic design services in your locality, but no one can claim the professional excellence and quality service like us. Our affordable service is available 24 hours a day.Now, Our service is available in Thrissur. You can enjoy our reliable service without paying much money. It will be wise to stick with traditional style and procedures. We always give importance to readability, rather than style. People will read the content about your company, only if it is simple, clear, and straightforward.We can also help you with all other graphic works. You can change the appearance of your website drastically. The number of customers will increase, after implementing these strategies. We can provide you with the assistance of imaginative designers. They know how to bring brochure design, into a whole new level. First of all, you have to give us all the information about the quality and specifications of your product or services. We will sort them and select key points to create an Id Card. The purpose of a brochure is to convey the significance and specialities of a product. We know exactly how to gather user attention, by creating attractive Id Card. You can change the style, size, and even shape for inducing a fresh look. We can easily design contemporary, antique, and artistic brochures and Id Card. Visiting cards are cards bearing business information about a company or individual. They are shared during formal introductions as a convenience and a memory aid. A visiting card typically includes the giver's name, company or business affiliation (usually with a logo) and contact information such as street addresses, telephone number(s), fax number, e-mail addresses and website. Before the advent of electronic communication business cards might also include telex details. Now they may include social media addresses such as Facebook, LinkedIn and Twitter. Traditionally many cards were simple black text on white stock; today a professional business card will sometimes include one or more aspects of striking visual design. We bring you the best ever visiting cards. Thrissur is also known as the Cultural Capital of Kerala because of its cultural, spiritual and religious leanings throughout history. It contains the Kerala Sangeetha Nadaka Academy, Kerala Lalithakala Akademi and Kerala Sahitya Academy. 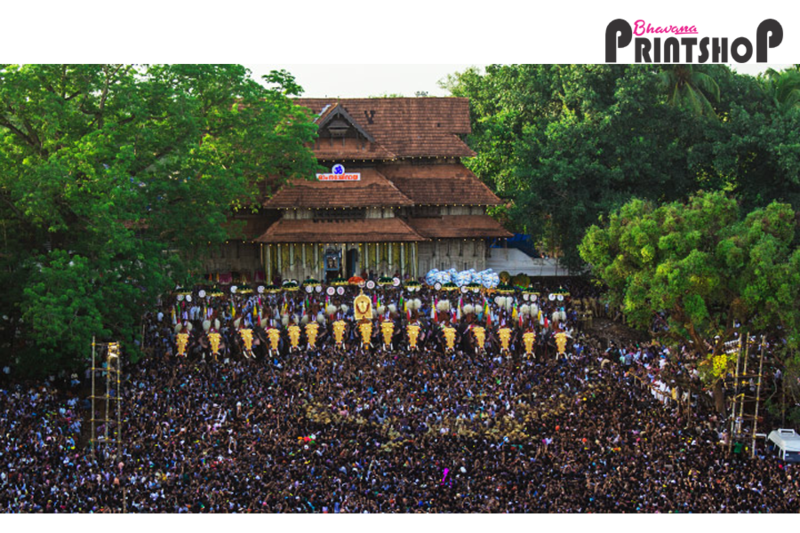 The city hosts the Thrissur Pooram festival, the most colourful and spectacular temple festival in Kerala. The festival is held at the Thekkinkadu Maidan in April or May. 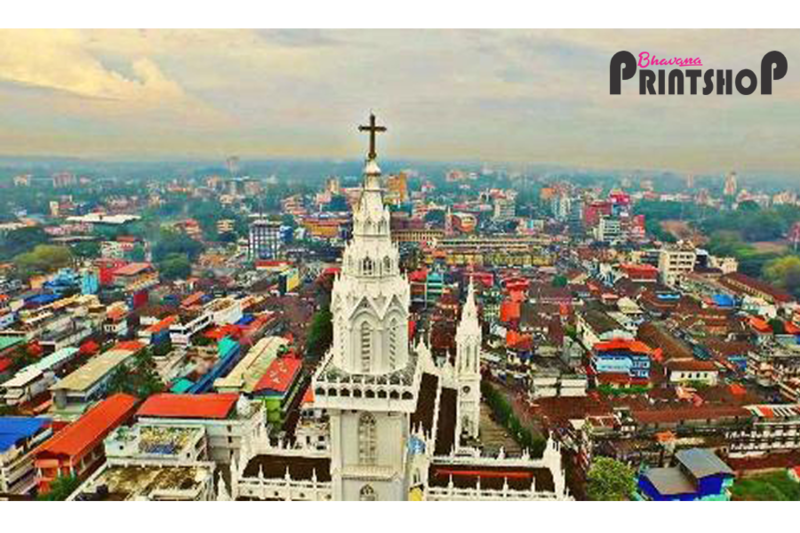 Thrissur has a large number of well-known temples including the Vadakkumnathan temple, Thiruvambadi Sri Krishna Temple and Paramekkavu temple, and the Guruvayur temple as well as two famous churches, the Our Lady of Lourdes Syro-Malabar Catholic Metropolitan Cathedral and the Our Lady of Dolours Syro-Malabar Catholic Basilica, the largest Christian church in India. Another monolithic monuments like Dolmens and rock-cut caves are at Porkulam, Chiramanengad, Eyyal, Kattakambal and Kakkad. According to historians, the dolmens are burial sites. Though most of the monuments were well protected, the dolmen at Porkulam was in a neglected condition. The city has served as an incubator for many Malayali entrepreneurs, and is a major financial and commercial hub of Kerala. It flexes its economic muscle in India as the headquarters of three major scheduled banks, South Indian Bank Ltd, Catholic Syrian Bank and Dhanalakshmi Bank Ltd and a clutch of Chit funds. The city is also a big centre for shopping in Kerala for silks and gold jewellery. Thrissur attracts the largest number of domestic tourists in Kerala.